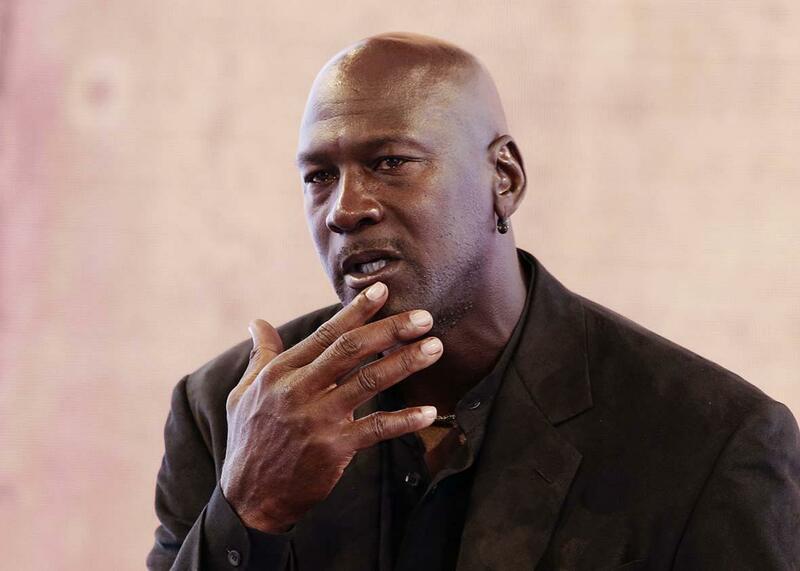 Did Michael Jordan really say “Republicans buy sneakers, too”? That quote has haunted Michael Jordan for decades. But did he really say it? For Jordan, whose reticence in wading into political and social issues is almost as well-known as his ruthless determination to win, this mild message was a radical statement. Jordan established his reputation for staying silent on social issues decades ago when he chose not to endorse black North Carolina Democrat Harvey Gantt in his 1990 Senate race against incumbent Jesse Helms. In 2001, David Broder described Helms as “the last prominent unabashed white racist politician in this country.” (To wit, that 1990 contest was the one in which Helms released his infamous anti-Gantt, anti–affirmative action “White Hands” ad.) Still, Jordan refused to get involved in the race, though an endorsement from North Carolina’s favorite son might have made a difference in a race Gantt ultimately lost by a margin of 53 percent to 47 percent. Legend has it that the Nike pitchman justified his lack of activism with the now infamous line, “Republicans buy shoes, too.” It’s unclear, though, whether he actually said the line. Here’s everything we know. The quote soon migrated to newsprint. In 1996, the Richmond Times-Dispatch’s Paul Woody spoke with political pundit Robert Holsworth, who speculated about whether Jordan would get involved in the 1996 Gantt–Helms Senate rematch. Writers have since repeatedly attributed the phrase to Jordan using both the “sneakers” and “shoes” formulations. “Jordan did not take a stand, pointing out that Republicans buy sneakers too,” David Halberstam wrote in his 1999 book Playing for Keeps. The New York Times, Boston Globe, USA Today, Slate, and pretty much every other media entity has also put those words in Jordan’s mouth. But as Brendan Nyhan and Jason Zengerle first noted in 2005, the provenance of the quote is mushy at best. It’s not clear from the passage in Second Coming if Sam Smith heard Jordan talk about Republicans and shoes or if someone passed the line along to him—he wrote that Jordan said it to “a friend.” Smith told a more specific story in his 2014 book There Is No Next. That time, he implied he heard the words come out of Jordan’s mouth. He characterized it as a joke, not a statement of Jordan’s personal political philosophy. While I would defend Jordan’s right to stay out of politics in general, I think that he made a mistake in declining to give any open support to Harvey Gantt, the respected black politician who ran for the U.S. Senate in 1990 from Jordan’s home state of North Carolina. For me, the main point is not that Gantt and Jordan are both black; rather, it is that Gantt’s opponent, Jesse Helms, has a long history of supporting segregation, and the contest was close. For blacks across America, that Senate contest was the most important in decades. Instead, Jordan stuck to his apolitical position. “I really don’t know Gantt,” he said, in response to criticism of his silence. “Well, Michael,” I would have told him, “pick up the telephone and call him!” A few appearances with Gantt might well have made the difference. Instead, Helms returned to the Senate. Naturally when things like [the riot] happen and I`m asked to comment on it, people tend to expect me to do more, be more opinionated, more vocal. The cry now from Jim Brown is to be more vocal. But they make it sound like Magic Johnson and myself are the only wealthy black people in America. Where are the Eddie Murphys? Where are the Arsenio Halls? Where are the Bill Cosbys, these type of people? It’s inaccurate, though, to characterize Jordan as a soulless capitalist entirely unconcerned with politics. According to OpenSecrets.org, Jordan donated $2000 to Gantt’s 1996 Senate campaign. (Estee Portnoy, Jordan’s spokeswoman, confirmed the donation to Slate. Despite the donation, Gantt lost that race, too.) In 2004, he contributed to Barack Obama’s senatorial campaign, leading Obama to joke that he “wasn’t sure whether he should cash [the check] or frame it.” In 2012, he took part in a fundraiser for President Obama and “co-headlin[ed] a $20,000 a plate dinner following it,” ESPN reported. OpenSecrets.org also lists donations from a Michael J. Jordan with the occupation “Charlotte Bobcats Owner” to various groups associated with the Democratic Party. But Monday’s statement is different. This isn’t just a campaign donation: Jordan has decided to use his voice and his platform to weigh in publicly on a pressing issue of race and social justice. He’s still measured, and he’s still trying to give equal consideration to all sides. But this is a long way from “Republicans buy sneakers, too,” whether he ever said those words or not.